The Sound Quality is Great with clear dialog and bassy tones the can shake your room at times. The Picture Quality is Great with very sharp detail and great colors. Love the color filtering they do as you get a blue / grey look. 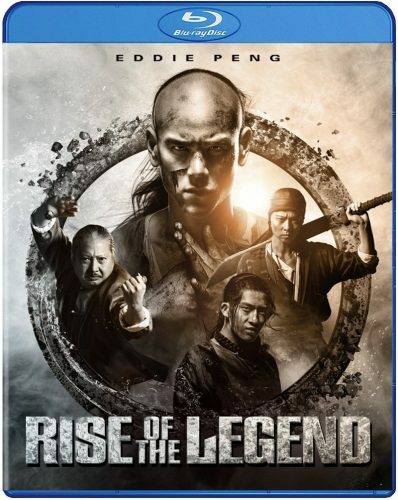 Rise of the Legend is a Quality Action film when it comes to the fighting. We follow a young Wong Fei Hung on a journey with a twist and a turn as Clans fight for Territory and power. Who is good who is bad, I mean we should know whats going on as those who are watching Know the Hero that is Wong Fei Hung. The story is OK but at times at the beginning it gets confusing while at times I thought I was in a back flash but it was not as a good gang , the Orphan Gang was imputed into the story. At times we did get flash backs and I wish we had more of the growing up of Wong Fei Hung. Action wise is what makes the film worth the buy. The action was entertaining but it does has its faults. I Wish we would have gotten a more realistic non wire work film. At one point are main villain played by Sammo Hung who is a good 300 plus Pound is like 8 feet in the air hitting a flip. Eddie Peng playing are hero on his back sliding backwards from a stopped motion with no force. Most of the action though its hard-hitting and great. Eddie Peng makes a big presence playing Wong Fei Hung and I look forward to his next big film The Great Wall. Overall the film was a good watch. It has its up and downs and it’s no classic but still worth the view. With a run time of over 2 hours the film at times gets a little slow with more action and story on the characters upbringing could have made it better. Action wise a more realistic tone would have made it more gritty and showcasing his style to more of a T while getting deeper into the Hung Fist style and his famous Tiger Crane Fist would make the action a classic.